Keep your finger on the pulse of all programs, events and behind-the-scenes activity at the museum. Help us preserve this American treasure for future generations to come. Let thousands of visitors know that you found it in your heart to adopt a clock or watch. Double Your Gift with a Corporate Match! 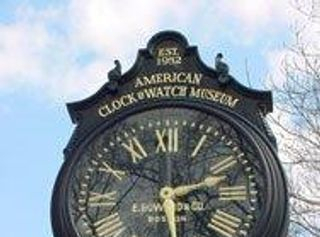 Did you know that some companies offer a Matching Gift program that can double your gift to the American Clock & Watch Museum? Check with the human resource office at your or your spouse's employer to obtain a corporate matching gift form. Some companies provide this benefit for both current employees as well as retirees. For a partial list of participating corporations, click here. 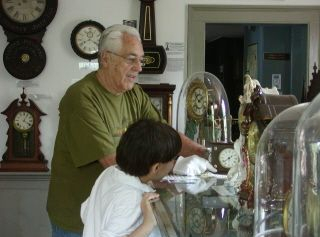 Do you love history and/or antique clocks or watches? Become a volunteer at the museum! advance the study of horology.